The proper cycle of arrangement of the five elements generates productive Qi (Chi) circulation in the human body and living environment. 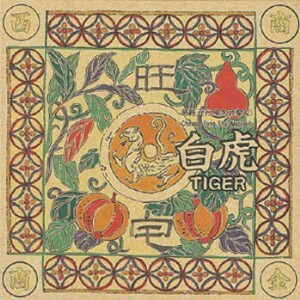 Tiger represents "the god of the west", associated with the element of metal and with "shang" of the five Chinese tones. The music is forceful and energizing, full of productive energy which keeps away evil spirits, alters ill fortunes, and bringd good luck to your household.